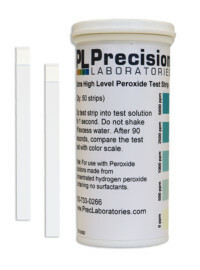 N-Propylthiouracil (PROP) taste test paper tests for the genetically controlled ability to taste this substance. PROP can taste bland, bitter or even vile depending upon how sensitive your taste buds are to this chemical. The bitter taste detected by some individuals, and its intensity, depends upon a homozygous dominant or heterozygous condition in the individuals tested. PROP is often used in taste studies aimed at identifying Super Tasters. 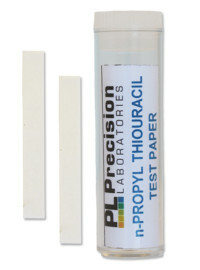 N-Propylthiouracil test paper is perfectly safe to use. 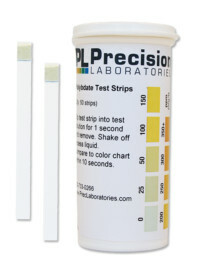 PROP is present at only 20 micrograms per strip. At this level, the compound is negligible and harmless. 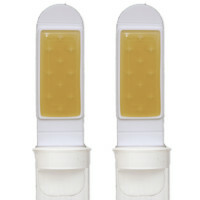 Remove one N-Propylthiouracil test paper from the vial. Stick out your tongue, and place the strip on your tongue. There are three basic results: bland, bitter, or vile. NOTE: The SDS for each taste test paper lists the ingredients. The concentration of ingredients is usually so small, it is less than what would be considered hazardous. Aside from these small quantities, the cellulose paper is the only other ingredient. In addition, the proper use of each taste test is to touch the strip to the tongue. These taste strips have been used safely in classrooms for decades. The manufacturing facility where the PROP paper is produced (Cottonwood, AZ) is a typical manufacturing site. We don’t manufacture nuts, gluten or other products usually associated with allergy concerns. Please note, however, that the facility is not certified or considered an allergy-friendly manufacturing facility. 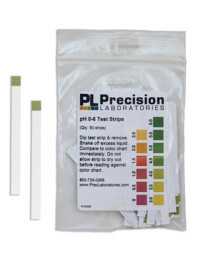 In addition, the raw materials used in producing the taste test papers are not procured in any special fashion. We have no assurance that they were produced in an allergy-free environment. Despite the above information, if you have a concern about a possible allergic reaction, perhaps it would be best to abstain from the activity. 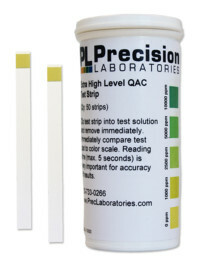 Disclaimer: Precision Laboratories products are not approved for use as medical devices. Products and product information is for informational purposes only and not intended for use to diagnose, treat, cure or prevent any medical condition. Consult a medical doctor when needed.